12 underfunded schools. 12 months. Starting January 2019. 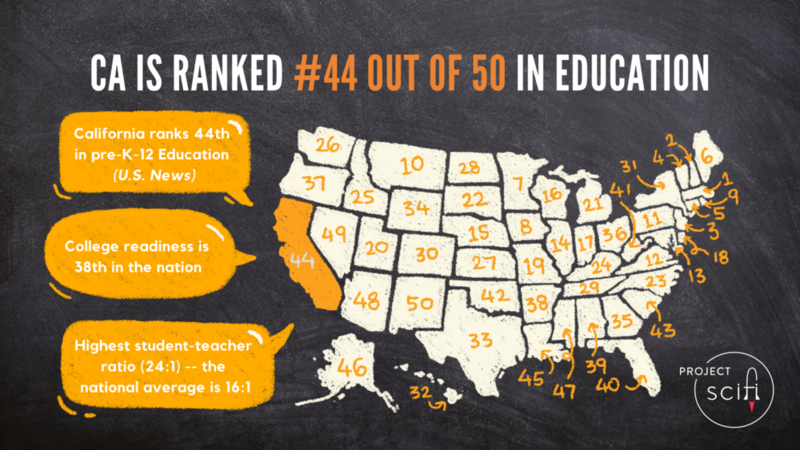 We as a community need to pool our efforts to fix the problem of California education. A high student-teacher ratio in California means less resources and hands-on experiments for students. In 2019, Project SCIFI will donate hands-on science resources to one school per month. These resources include basic PPE, such as lab coats (embroidered with our logo and the logos of our sponsors) and lab safety goggles. We also will provide need-based supplies on a need-basis. Studies show that wearing a lab coat improves a student’s self-image, performance, and engagement in science. For more details, download our brochure here.